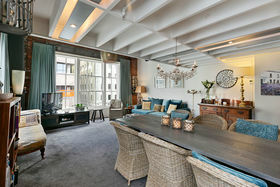 Situated in the iconic Waterloo on Quay building, this 118sqm coveted corner apartment will provide an exceptional lifestyle to a discerning buyer. 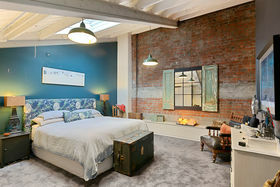 Elegant decor and authentic character seamlessly complement the architecturally designed contemporary layout. 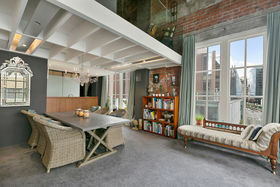 The spacious open plan living area is surrounded by a series of large original windows that are so admired in this heritage building. 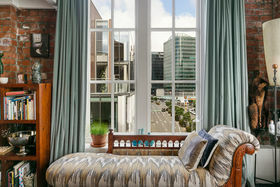 Each window frames aspects of the city; including glimpses of the harbour and a birds-eye view of the city's vibrancy. 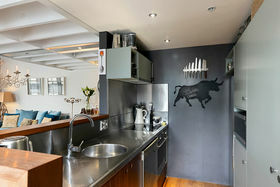 At night the city scape is stunning, the perfect backdrop to entertain friends with the high spec galley kitchen. 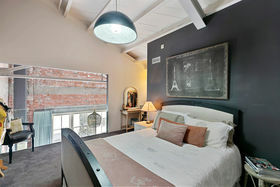 Set over two levels, the top floor comprises of a chic black and white bathroom and two spacious bedrooms both with beamed ceilings and original brick walls. 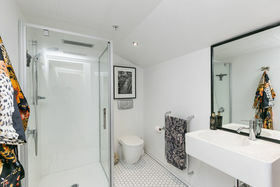 Features such as infrared heating in the living area, solar powered skylight in the master bedroom, beautifully renovated bathroom, ample double pantry in the kitchen and stunning designer lighting throughout enhance this sought-after oasis in the heart of the city. 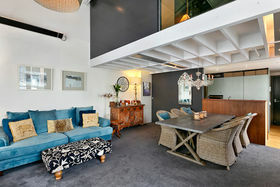 Its harbour-side location is ideal. Walk to the CBD, Parliament, stroll to the shops and numerous eateries and restaurants, or enjoy a leisurely walk around the water-front. 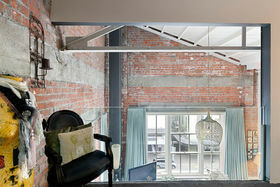 This is a perfect example of inner-city living - without compromise. Features: • Spacious 118sqm floor area • Open plan living area with exceptionally high stud • Urban mix of character and contemporary • Two bedrooms upstairs - master is exceptionally large • Renovated bathroom • Separate laundry with guest toilet • Secure car-park with locked storage area • R.V. 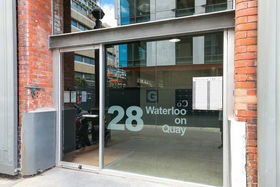 $700,000 To be sold by tender on Friday 3 May 2019 at Ray White, Level 1, 77 Thorndon Quay, Wellington.